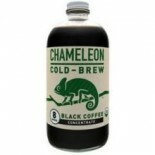 Attributes: Dairy Free, Fair Trade, Gluten Free, Low Salt / Low Sodium / Reduced Sodium, Natural or Organic Ingredients, Non-GMO Project Verified , Specialty Product, Vegan, Wheat Free, Yeast FreeIngredients: Organic Fair Trade Black Tea, Organic Evaporated Cane Juice, Organic Ginger Juice, Organic .. Attributes: Dairy Free, Fair Trade, Gluten Free, Low Salt / Low Sodium / Reduced Sodium, Natural or Organic Ingredients, Specialty Product, Vegan, Wheat Free, Yeast FreeIngredients: Organic Fair Trade Black Tea, Organic Evaporated Cane Juice, Organic Ginger Juice, Cold-Brewed Organic Coffee, Organic.. Attributes: Fair Trade, Natural or Organic IngredientsIngredients: Organic Fair Trade Black Tea, Organic Evaporated Cane Juice, Organic Ginger Juice, Organic Almond Milk, Other Spices. .. 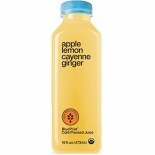 Attributes: Dairy Free, Gluten Free, Kosher, Natural or Organic Ingredients, Non-GMO Project Verified , Vegan, Wheat Free, Yeast FreeIngredients: Juice from: organic apple, organic lemon, organic ginger and organic cayenne extract. 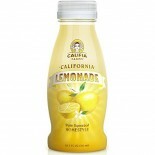 Nutritions: Calcium(6), Calories(110), Cholesterol(N/A), Dietaryf.. Attributes: Dairy Free, Gluten Free, Kosher, Natural or Organic Ingredients, Non-GMO Project Verified , Vegan, Wheat Free, Yeast FreeIngredients: Filtered water, organic coffee concentrate, organic cashews, organic agave nectar, organic cinnamon, organic vanilla extract and organic vanilla spec.. 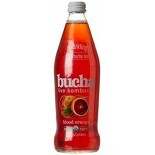 Attributes: Dairy Free, Gluten Free, Low Carb, Natural or Organic Ingredients, Vegan, Wheat FreeIngredients: Organic live kombucha (purified water, organic evaporated cane juice, organic black tea, kombucha culture), organic caffeine-free tisane (organic rooibos, organic hibiscus, organic orange pee.. 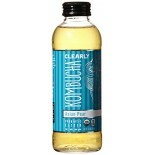 Attributes: Dairy Free, Gluten Free, Low Carb, Natural or Organic Ingredients, Vegan, Wheat FreeIngredients: Organic live kombucha (purified water, organic evaporated cane juice, organic black tea, kombucha culture), organic grapefruit flavor, organic sage oil, organic annatto, blackcurrant color, a.. 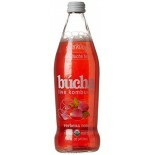 Attributes: Dairy Free, Gluten Free, Low Carb, Natural or Organic Ingredients, Vegan, Wheat FreeIngredients: Organic live kombucha (purified water, organic evaporated cane juice, organic black tea, kombucha culture), organic mango and organic guava puree, natural flavor, organic lemon juice concentr.. Attributes: Dairy Free, Gluten Free, Low Carb, Natural or Organic Ingredients, Vegan, Wheat FreeIngredients: Organic live kombucha (purified water, organic evaporated cane juice, organic black tea, kombucha culture), organic pomegranate juice concentrate, organic raspberry juice concentrate, organic.. 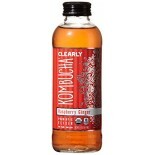 Attributes: Dairy Free, Gluten Free, Low Carb, Natural or Organic Ingredients, Vegan, Wheat FreeIngredients: Organic live kombucha (purified water, organic evaporated cane juice, organic black tea, kombucha culture), organic Damask rose petals, organic lemon verbena, organic blackcurrant color, and .. 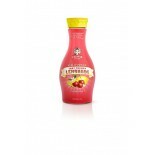 Attributes: Natural or Organic IngredientsIngredients: Organic live kombucha (purified water, organic evaporated cane juice, organic black tea, kombucha culture), organic lemon juice concentrate, natural lemon flavor, natural yuzu flavor, organic turmeric color, and Bacillus coagulans GBI-30 6086.Nu.. 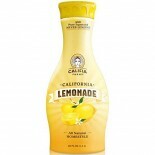 Attributes: Gluten Free, Natural or Organic Ingredients, Non-GMO Project Verified , VeganIngredients: Water, Lemon Juice, Pure Cane Sugar, Natural Flavors. .. 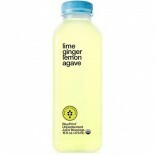 Attributes: Gluten Free, Natural or Organic Ingredients, Non-GMO Project Verified , VeganIngredients: Water, Lemon Juice, Pure Cane Sugar, Lime Juice From Concentrate, Ginger Juice, Natural Flavors, Monk Fruit Extract. .. 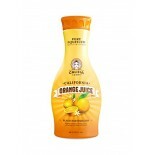 Attributes: Gluten Free, Natural or Organic Ingredients, Non-GMO Project Verified , VeganIngredients: California Orange Juice With Organic Juice From Concentrate. .. 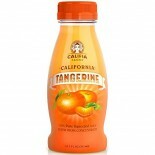 Attributes: Natural or Organic IngredientsIngredients: 100% California Tangerine Juice. .. 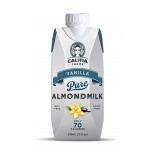 Attributes: Dairy Free, Gluten Free, Natural or Organic Ingredients, Specialty Product, VeganIngredients: Ricemilk (water, brown rice), tigernutmilk (water, tigernuts), almondmilk (water, almonds), pure cane sugar, natural flavors, calcium carbonate, potassium citrate, sea salt, sunflower lecithin ,.. 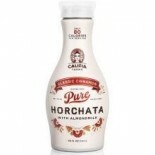 Attributes: Dairy Free, Gluten Free, Natural or Organic Ingredients, Specialty Product, VeganIngredients: Ricemilk (water, brown rice), almondmilk (water, almonds), pure cane sugar, coconut cream, natural flavors, calcium carbonate, potassium citrate, sea salt, sunflower lecithin , cinnamon, locust .. Attributes: Fair Trade, Natural or Organic Ingredients, Vegan, Yeast Free.. 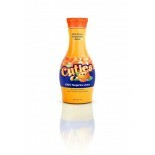 Attributes: Natural or Organic IngredientsIngredients: Pure filtered water, Black Currant Juice & Blueberry Juice (from concentrate), Crystalline Fructose (a natural fruit sugar), natural flavor. .. 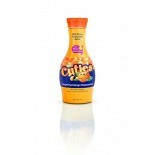 Attributes: Natural or Organic IngredientsIngredients: Pure Filtered Water, Black Currant Juice (from concentrate), Crystalline Fructose (a natural fruit sugar). .. 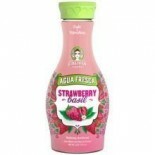 Attributes: Natural or Organic IngredientsIngredients: Pure filtered water, Black Currant Juice & Cranberry Juice (from concentrate), Crystalline Fructose (a natural fruit sugar), natural flavor. .. 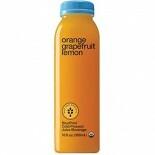 Attributes: Natural or Organic IngredientsIngredients: Tangerine juice, orange juice, mango puree, vitamin C (ascorbic acid), natural flavors. .. 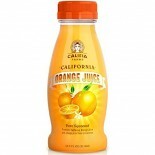 Attributes: Natural or Organic IngredientsIngredients: Tangerine Juice, orange juice, pineapple juice, vitamin C (ascorbic acid), natural flavors. .. 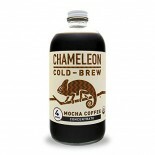 Attributes: Fair Trade, Gluten Free, Low Carb, Natural or Organic Ingredients, Non-GMO Project Verified , Vegan, Wheat Free, Yeast FreeIngredients: Filtered Water, Hemp Seeds*, Coconut Nectar*, Madagascar Vanilla Extract*, Camu Camu*, Himalayan Pink Salt, E3Live® Klamath Lake Freshwater Blue-Green .. 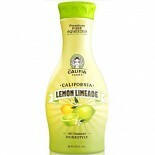 Attributes: Dairy Free, Fair Trade, Low Carb, Low Salt / Low Sodium / Reduced Sodium, Natural or Organic Ingredients, Vegan, Wheat Free, Yeast FreeIngredients: Juices (Cucumber*, Pear*, Spinach*, Watercress*, Lime*), Madagascar Vanilla Extract*.Nutritions: Calcium(4), Calories(110), Cholesterol(0),.. 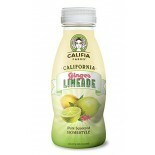 Attributes: Dairy Free, Fair Trade, Low Carb, Low Salt / Low Sodium / Reduced Sodium, Natural or Organic Ingredients, Specialty Product, Vegan, Wheat Free, Yeast FreeIngredients: Juices (Celery*, Pear*, Apple*, Kale*, Fennel*, Lemon*, Ginger Root*).Nutritions: Calcium(10), Calories(90), Cholesterol.. Attributes: Fair Trade, Gluten Free, Low Carb, Natural or Organic Ingredients, Non-GMO Project Verified , Vegan, Wheat Free, Yeast FreeIngredients: Juices (Celery, Pear, Apple, Kale, Fennel, Ginger, Lemon).Nutritions: Calcium(15), Calories(120), Cholesterol(0), Dietaryfiber(2), Fromfat(0), Iron(15),.. 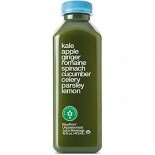 Attributes: Dairy Free, Fair Trade, Low Carb, Low Salt / Low Sodium / Reduced Sodium, Natural or Organic Ingredients, Specialty Product, Vegan, Wheat Free, Yeast FreeIngredients: Juices (Cucumber*, Celery*, Kale*, Broccoli*, Parsley*, Lemon*, Basil*).Nutritions: Calcium(10), Calories(45), Cholestero.. 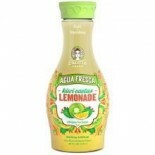 Attributes: Fair Trade, Gluten Free, Low Carb, Natural or Organic Ingredients, Non-GMO Project Verified , Vegan, Wheat Free, Yeast FreeIngredients: Juices (Cucumber, Celery, Kale, Broccoli, Parsley, Lemon, Basil).Nutritions: Calcium(15), Calories(60), Cholesterol(0), Dietaryfiber(1), Fromfat(5), Ir.. 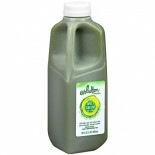 Attributes: Fair Trade, Gluten Free, Low Carb, Natural or Organic Ingredients, Vegan, Wheat Free, Yeast FreeIngredients: Juices (Pineapple, Romaine, Carrot, Collard Greens, Spinach, Turmeric Root).Nutritions: Calcium(25), Calories(120), Cholesterol(0), Dietaryfiber(1), Fromfat(5), Iron(8), Protein(.. 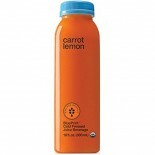 Attributes: Dairy Free, Fair Trade, Low Carb, Low Salt / Low Sodium / Reduced Sodium, Natural or Organic Ingredients, Vegan, Wheat Free, Yeast FreeIngredients: Juices (Pineapple*, Romaine*, Carrot*, Collard Greens*, Spinach*, Turmeric Root*, Lemon*).Nutritions: Calcium(20), Calories(90), Cholestero.. 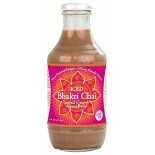 Attributes: Dairy Free, Fair Trade, Low Carb, Low Salt / Low Sodium / Reduced Sodium, Natural or Organic Ingredients, Specialty Product, Vegan, Wheat Free, Yeast FreeIngredients: Juices (Watermelon*, Cucumber*, Celery*, Spinach*, Pineapple*, Lime*, Mint*, Dandelion Greens*), Himalayan Pink Salt.Nutr.. 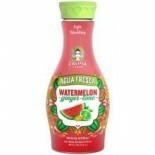 Attributes: Fair Trade, Gluten Free, Low Carb, Low Salt / Low Sodium / Reduced Sodium, Natural or Organic Ingredients, Non-GMO Project Verified , Vegan, Wheat Free, Yeast FreeIngredients: Juices (Watermelon, Cucumber, Celery, Spinach, Pineapple, Mint, Dandelion Greens, Lime), Himalayan Pink Salt.Nut.. 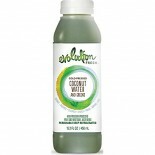 Attributes: Dairy Free, Fair Trade, Low Carb, Low Salt / Low Sodium / Reduced Sodium, Natural or Organic Ingredients, Specialty Product, Vegan, Wheat Free, Yeast FreeIngredients: Juices (Cucumber*, Pineapple*, Celery*, Kale*, Cilantro*, Lime*, Jalapeño*), Himalayan Pink Salt.Nutritions: Calcium(4),.. 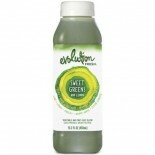 Attributes: Fair Trade, Gluten Free, Low Carb, Low Salt / Low Sodium / Reduced Sodium, Natural or Organic Ingredients, Non-GMO Project Verified , Vegan, Wheat FreeIngredients: Juices (Cucumber, Pineapple, Celery, Kale, Cilantro, Lime, Jalapeño), Himalayan Pink Salt.Nutritions: Calcium(4), Calories(.. Attributes: Dairy Free, Kosher, Low Salt / Low Sodium / Reduced Sodium, Natural or Organic Ingredients, Wheat Free.. 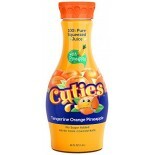 Attributes: Kosher, Low Salt / Low Sodium / Reduced Sodium, Natural or Organic Ingredients, Non-GMO Project Verified , Vegan, Wheat FreeIngredients: Orange Juice, Pineapple Juice, Mango Puree, Apple Juice, Acerola Puree, Ascorbic Acid. Made in a facility that handles milk, soy, and tree nuts. Nutr.. 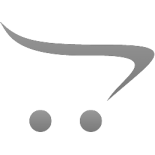 Attributes: Kosher, Low Salt / Low Sodium / Reduced Sodium, Natural or Organic Ingredients, Non-GMO Project Verified , Vegan, Wheat Free.. 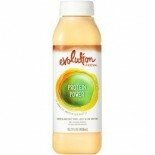 Attributes: Kosher, Low Salt / Low Sodium / Reduced Sodium, Natural or Organic Ingredients, Vegan, Wheat FreeIngredients: Orange Juice, Apple Juice, Mango Puree, Whey Protein Concentrate, Soy Protein Isolate, Banana Puree. .. 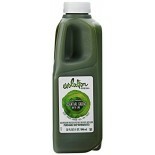 Attributes: Kosher, Low Salt / Low Sodium / Reduced Sodium, Natural or Organic Ingredients, Non-GMO Project Verified , Vegan, Wheat FreeIngredients: "Juices (Celery, Cucumber, Spinach, Romaine Lettuce, Kale, Lime, Parsley, Wheat Grass, Clover Sprouts). Made in a facility that handles milk, soy, and.. 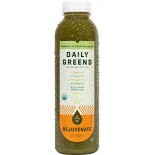 Attributes: Kosher, Natural or Organic Ingredients, Non-GMO Project Verified , VeganIngredients: Juices (Celery, Cucumber, Spinach, Romaine Lettuce, Kale, Lime, Parsley, Wheat Grass, Clover Sprouts). 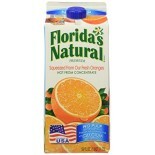 Nutritions: Calcium(8), Calories(35), Cholesterol(N/A), Dietaryfiber(N/A), Fromfat(N/A), Iron(2), P.. 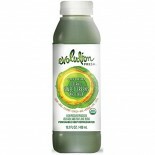 Attributes: Kosher, Natural or Organic Ingredients, Non-GMO Project Verified , VeganIngredients: Juices (Celery, Apple, Cucumber, Spinach, Romaine Lettuce, Kale, Lime, Lemon, Parsley, Wheat Grass, Clover Sprouts). 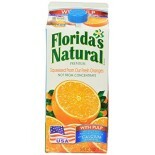 Nutritions: Calcium(6), Calories(50), Cholesterol(N/A), Dietaryfiber(N/A), Fromfat(N/.. 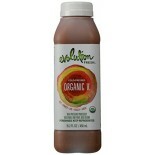 Attributes: Kosher, Natural or Organic Ingredients, Non-GMO Project Verified , VeganIngredients: Juices (celery, apple, cucumber, spinach, romaine lettuce, kale, lime, lemon, parsley, clover sprouts).Nutritions: Calcium(6), Calories(50), Cholesterol(0), Dietaryfiber(0), Fromfat(0), Iron(2), Protein(.. 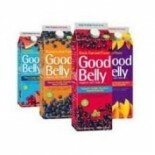 Attributes: Dairy Free, Foodservice (Bulk Pack), Kosher, Natural or Organic Ingredients, Non-GMO Project Verified , Wheat FreeIngredients: Filtered water, organic blueberry puree, organic pear juice concentrate, organic grape juice concentrate, organic respberry puree, organic acai puree, cultured o.. 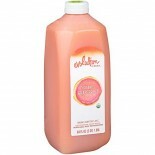 Attributes: Dairy Free, Foodservice (Bulk Pack), Natural or Organic Ingredients, Non-GMO Project Verified , Wheat FreeIngredients: Filtered water, organic peach puree, organic pear juice concentrate, organic grape juice concentrate, organic mango puree, organic pineapple juice concentrate, cultured .. 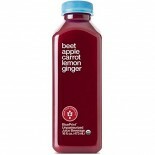 Attributes: Dairy Free, Foodservice (Bulk Pack), Natural or Organic Ingredients, Non-GMO Project VerifiedIngredients: Filtered water, organic pear juice from concentrate, organic blackberry juice from concentrate, organic evaporated cane juice, organic pomegranate juice from concentrate, organic oat.. 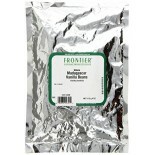 Attributes: Dairy Free, Foodservice (Bulk Pack), Kosher, Natural or Organic Ingredients, Non-GMO Project Verified , Wheat Free.. 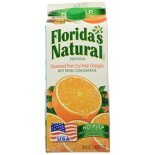 Attributes: Dairy Free, Foodservice (Bulk Pack), Kosher, Lactose Free, Natural or Organic Ingredients, Non-GMO Project Verified , Soy Free, Vegan, Wheat FreeIngredients: Filtered water, organic grape juice from concentrate, organic evaporated cane juice, organic pear juice, cranberry juice from conc..